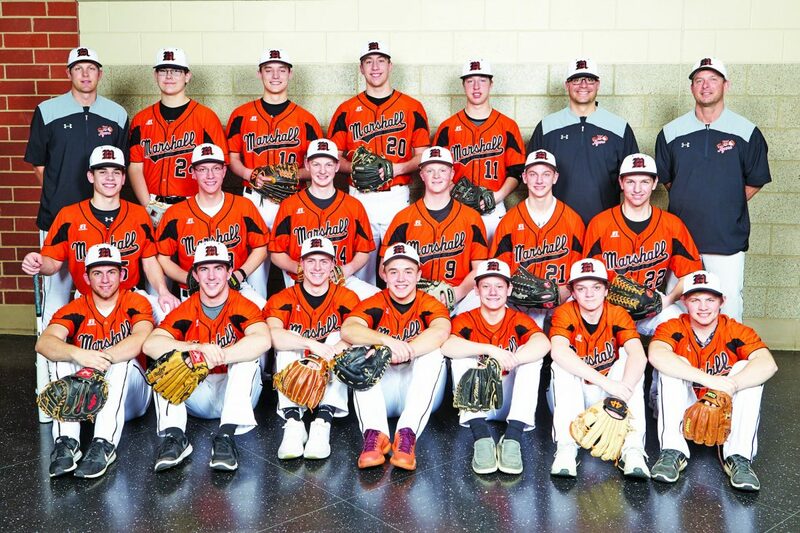 Photo courtesy of Photoworks Pictured above is the Marshall baseball team. Front Row (L to R): Nick Macchio, Jackson Hughes, Peyton Grant, Jordan Mernaugh, Connor Roth, Dillon Loft and Alex Thompson. Middle Row (L to R): Kaleb Welvaert, Logan Terfehr, Riley Alcorn, Andrew Mulso, Matthew Hmielewski and Zachary Olsen. Back Row (L to R): Coach Chace Pollock, Isaac Schmitt, Brayden Hilgemann, Trey Steinbach, Cody Greve, assistant coach Mitch Maxwell and assistant coach Blaine Schnaible. MARSHALL – The Marshall baseball team boasts one of the more experienced rosters amongst all competitors in the Big South Conference with a team comprised of all upperclassmen, including six seniors and 11 juniors. The team’s wealth of experience, in addition to roster depth, are two areas of strength for the club that could pay dividends as the season progresses. 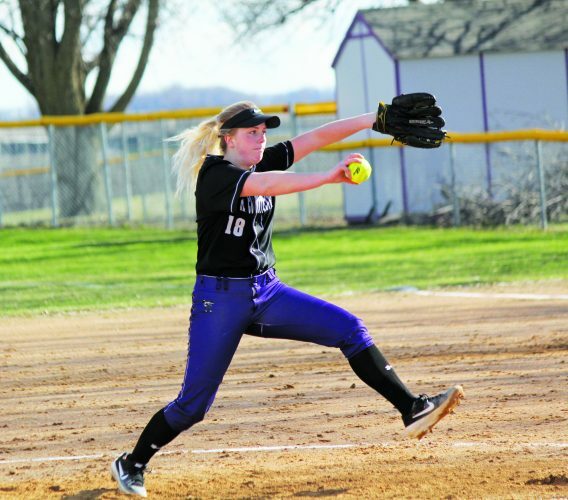 The Tigers will be looking to improve upon last year’s mark of 14-7 in a season that ended with losses to Mankato West and New Ulm in the sectional playoffs. 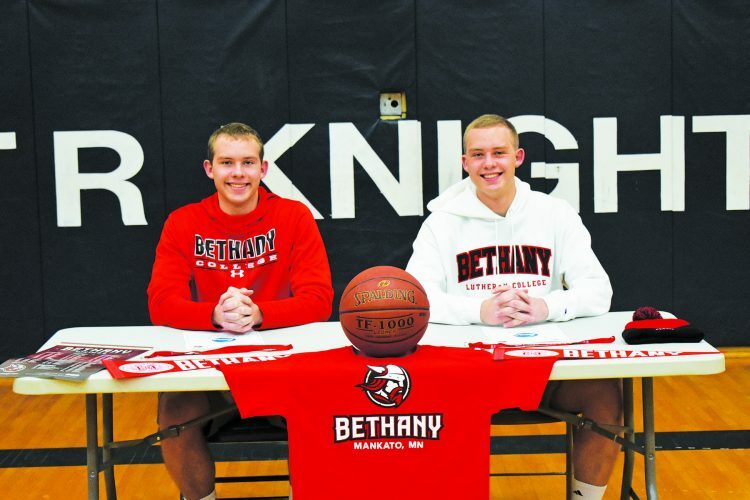 Pollock says the team always looks forward to its matchups with New Ulm, as the two have had shared success in sections and have become rivals over the years. Though Pollock is excited for the matchup and what the future holds for his veteran ballclub, he is more focused on day-to-day improvement resulting from working hard in practice. According to Pollock, the rest will take care of itself.